Nintendo's 'free-to-start' mobile platformer Super Mario Run has made over $60 million in revenue since launching in November 2016. Sensor Tower reports that the one-tap platformer has passed the milestone across both Google Play and the App Store. Releasing six months prior to Android, 77 per cent of revenue to date comes from the Apple storefront. The split began evening out in Q1 this year, increasing to 35 per cent on Google Play for the quarter. While early days saw the game more popular in Japan, outside markets eventually took over. Sensor Tower claims that 43 per cent of payments came from the US, with only 17 per cent coming from Japan. Super Mario Run’s last milestone saw the game surpass 200 million downloads last October. At the time, Nintendo’s then president Tatsumi Kimishima said that the game had ““not yet reached an acceptable profit point”. 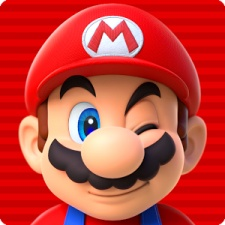 The relatively lukewarm reception to Super Mario Run, alongside other Nintendo mobile titles, has led to the firm rethinking its strategy for mobile entirely.